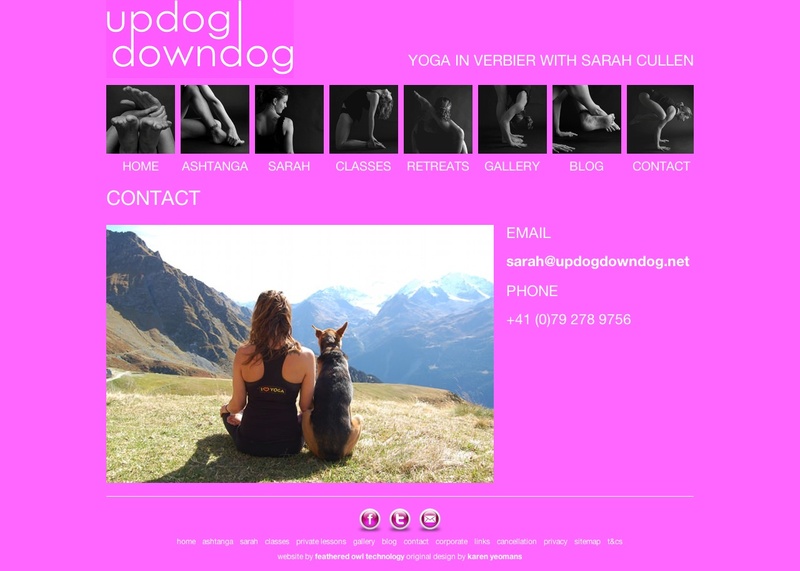 Updogdowndog is the nom de yoga of Sarah Cullen (my wife, in case you hadn't guessed), an Ashtanga teacher based in Verbier. Sarah needed a website to publicise her teaching schedule, bring in new business and show off a selection of images from her photo shoots. I have looked after this website since it was first designed and developed as a Dreamweaver site by Karen Yeomans in 2006. The site has come a long way since then and now runs on WordPress and uses the wonderful Nextgen Gallery plugin to display images from Sarah's photoshoots over the years. 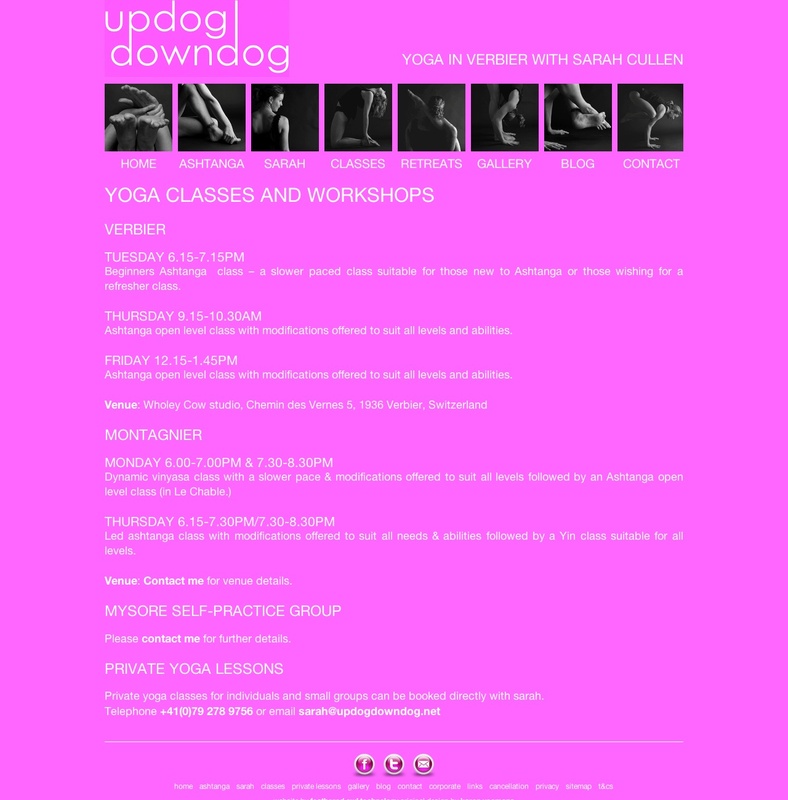 I've done SEO for this site for a long time as well and had to re-optimise for "yoga in verbier" when we relocated to Switzerland in 2010. The site now consistently ranks #1 or #2 on Google for this and related terms.